Upcoming EPA Webinars – Register Now! Visit the NPDES training page on the EPA website HERE for more information and to register for these webinars. SWBNO picks up 211 tons of trash out of the canals per year! The EPA’s Trash Free Waters Program will be holding a workshop Friday afternoon, July 25th to share information and progress on this effort to reduce trash(specifically “floatables”) in the nation’s waterways. The session will focus on identifying the extent and source of the problem in New Orleans, and on specific activities (and available funding sources) that can help minimize trash pollution in Lake Pontchartrain and adjacent waterways. Attached is a draft agenda and background info on the Trash Free Waters Program. We look forward to putting this money to good use in the community! Check out the news from the New Orleans City Council HERE. UPDATE: More news coverage from the Times-Picayune HERE. Annual Meeting – Save the Date! Cost and other information coming soon! What do you need more information on? What problems could we provide help with? Suggest topics you would like covered; our mission is to help YOU! 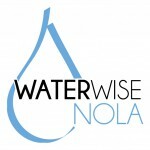 Email your suggestions to louisianastormwater@gmail.com.